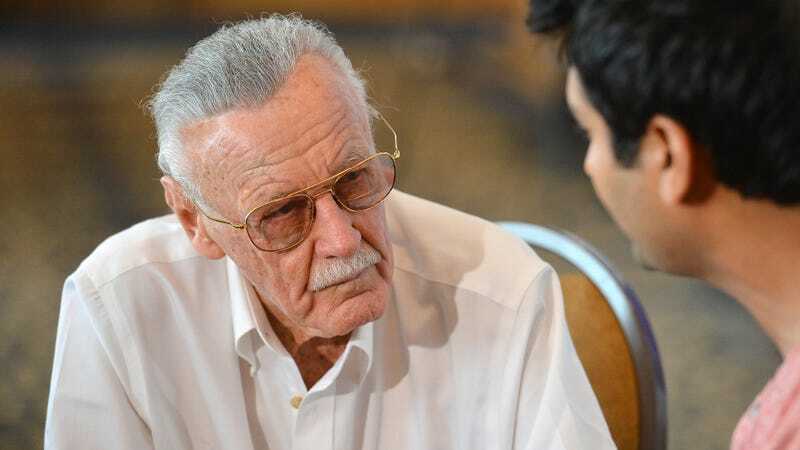 This week, Stan Lee’s official Twitter page lit up with a new announcement, supposedly written by the man himself, explaining that he was now in control of the social media page for the first time. Lee’s official Facebook and Instagram accounts, he said, had been “hijacked” and are still being run by people impersonating him. As odd as that was, Lee’s resurfacing became even more curious as the week went on. On Tuesday, Lee filed a lawsuit against Pow! (Purveyors of Wonder) Entertainment, a media production company he co-founded with Gill Champion and Arthur Lieberman, claiming that Champion and Pow! CEO Shane Duffy were trying to steal and profit from Lee’s identity. According to the lawsuit, Duffy and Champion..
....conspired and agreed to broker a sham deal to sell POW! 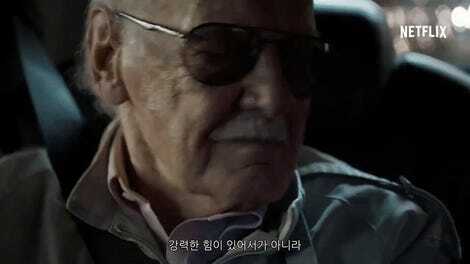 to a company in China and fraudulently steal Stan Lee’s identity, name, image, and likeness as part of a nefarious scheme to benefit financially at Lee’s expense. Lee’s lawsuit is a direct response to Pow! being sold to Camsing International, a company that buys and sells intellectual properties to a number of Hollywood studios. Lee’s suit claims that, at the time of the sale, he was told that he was given a non-exclusive licensing agreement with Pow!, but apparently that’s not the case. Pow!, Lee says, currently has “the exclusive right to use Lee’s name, identity, image, and likeness on a worldwide basis in perpetuity,” something he says is the result of his signature being forged. The allegations are completely without merit. The notion that Mr. Lee did not knowingly grant POW! exclusive rights to his creative works or his identity is so preposterous that we have to wonder whether Mr. Lee is personally behind this lawsuit. There is no question Mr. Lee—who, along with his daughter, was and remains a substantial POW! shareholder—clearly understood the terms of the agreements he signed. The evidence, which includes Mr. Lee’s subsequent statements and conduct, is overwhelming and we look forward to presenting it in court. This lawsuit is a new addition to the ongoing drama in the 92-year-old’s life. In addition to this legal battle, Lee is also suing Jerry Olivarez, his former business partner, who briefly had his right of attorney and used Lee’s funds to buy a condo valued over $800,000 that Lee says he did not agree to. Olivarez was also involved in Hands of Respect, a for-profit business selling pins with Lee’s branding that Lee’s daughter J.C. says they were never compensated for. Hands of Respect is also listed as one of the participating companies behind the recent attempts to sell comic books signed in ink infused with Lee’s blood, which was allegedly stolen using falsified documents. While Lee appears in a number of videos recently posted to his Twitter account in which he appears to be... okay, there’s no way of really knowing just what’s going on with him. Unfortunately, at this point, all there is to do is just sit back and watch how it plays out.